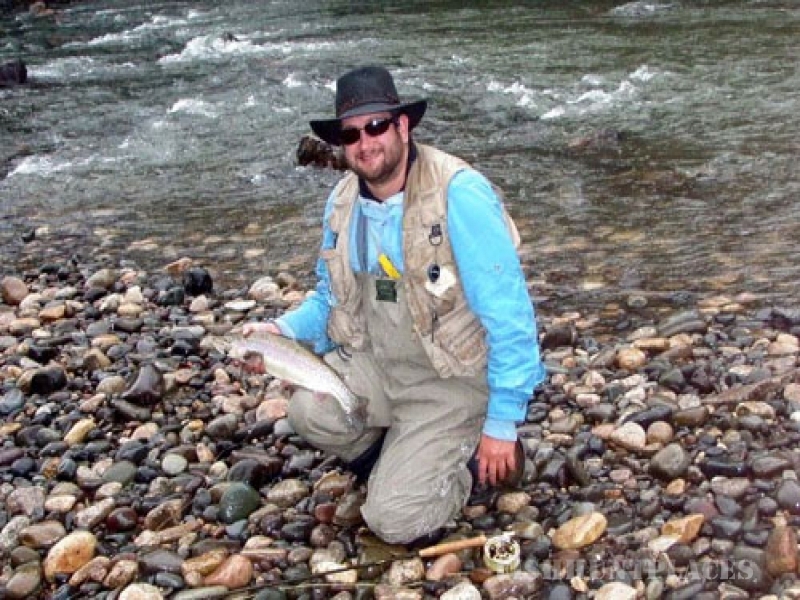 Enjoy a high wild trout population, private access, unguided fly fishing. 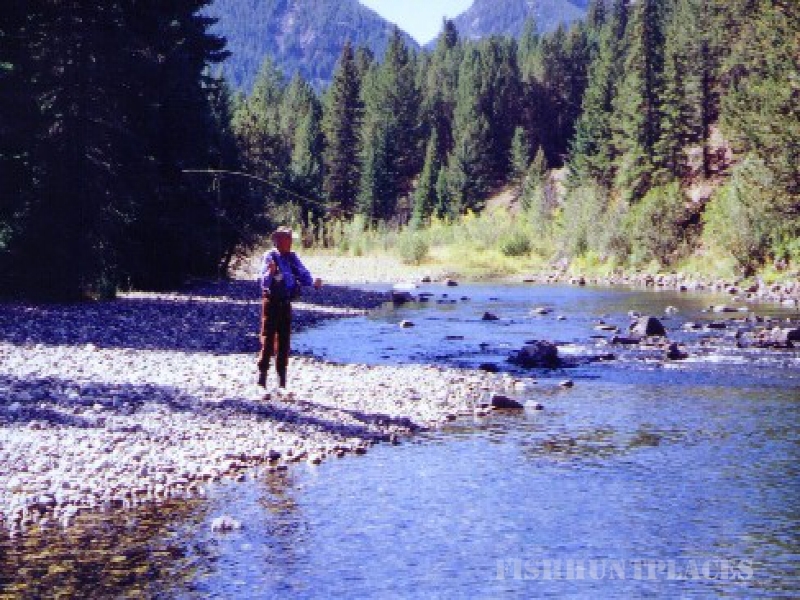 Fly fish in solitude from ranch access 24 miles north of Yellowstone Park in the Absaroka Beartooth Wilderness. 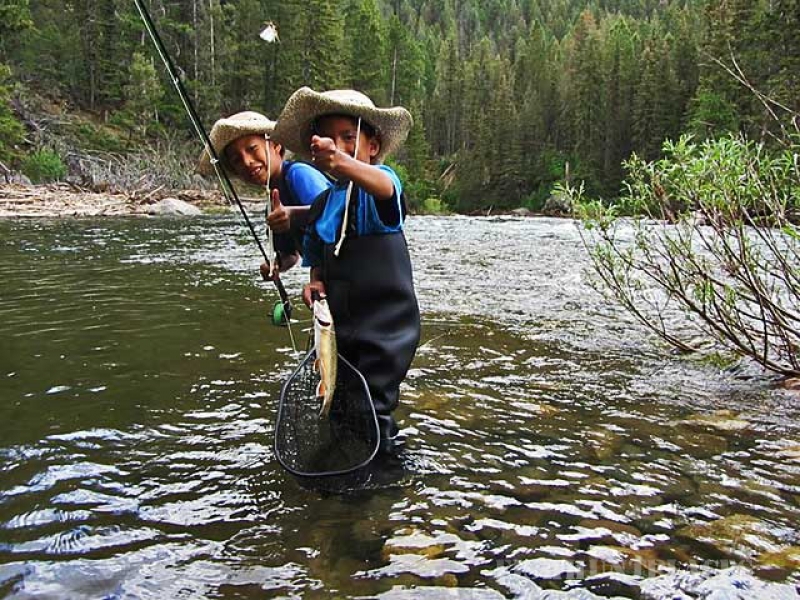 Catch and release fly fishing is our rule in the river but you can catch fish in the pond to eat. Experience the thrill of an elk hunting adventure in the wilderness north of Yellowstone Park. Hunt from our lodge or our back country camp up Meatrack Creek. 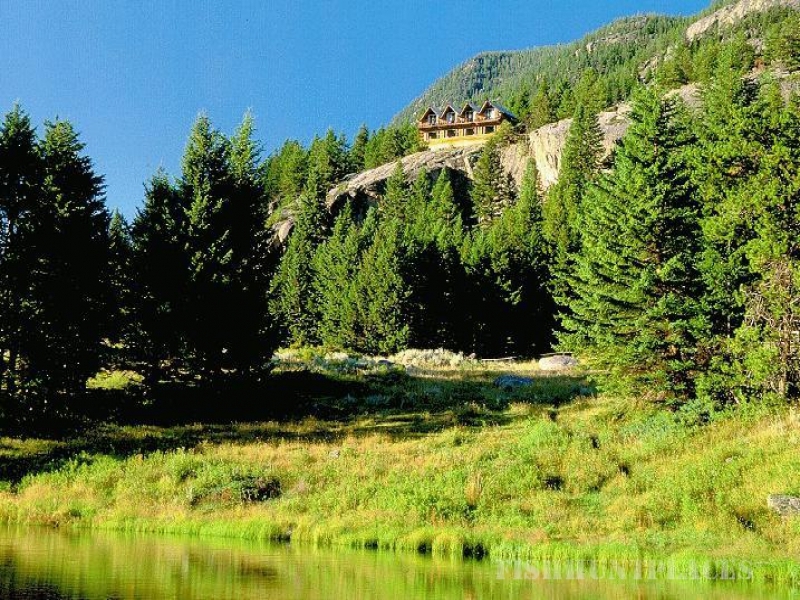 You will be in prime elk habitat as well as spectacular mountain terrain that is also home to a multitude of other wild beasts, including moose and mountain goats. A large portion of the Boulder drainage elk population begins the rut here. We provide the total package: guided hunt, lodging, excellent meals, good company, and our knowledge of the country and the elk in it. We strive to make your hunting adventure both enjoyable and successful. 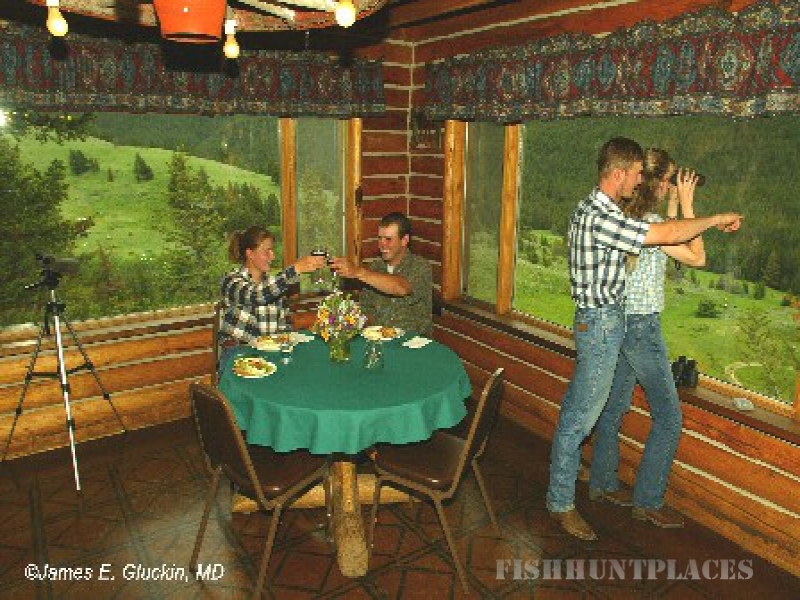 You will also have a collection of memorable moments and a unique taste of Montana hospitality. 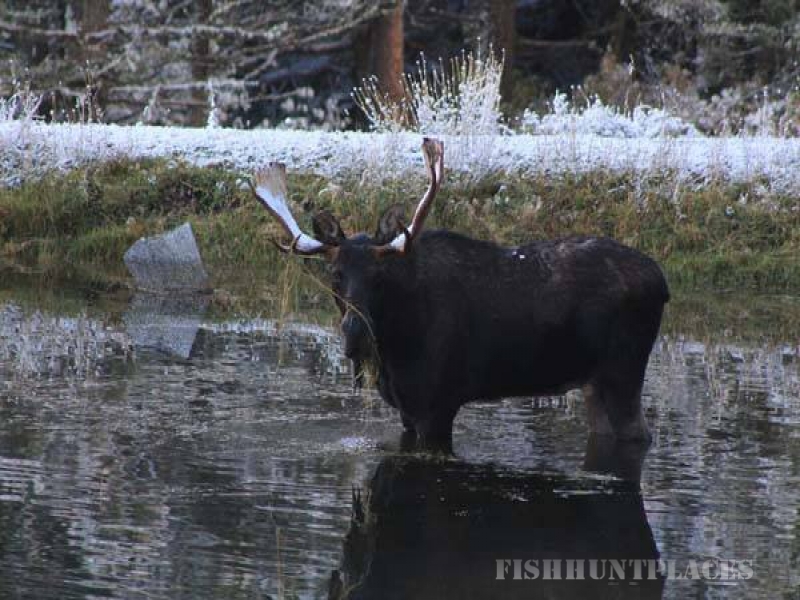 Moose hunting and mountain goat hunting are also available from our back country camp. Licenses for both moose and mountain goat are obtained only by lottery so they are hard to get, but harvest is likely when you are able to get the tags. Both elk and moose numbers have declined since the wolves have expanded into our hunting area from those planted in Yellowstone Park. (Mountain goats are still thriving.) The situation is probably dynamic as the wolves may move with the elk and drive some of them up to this area again. 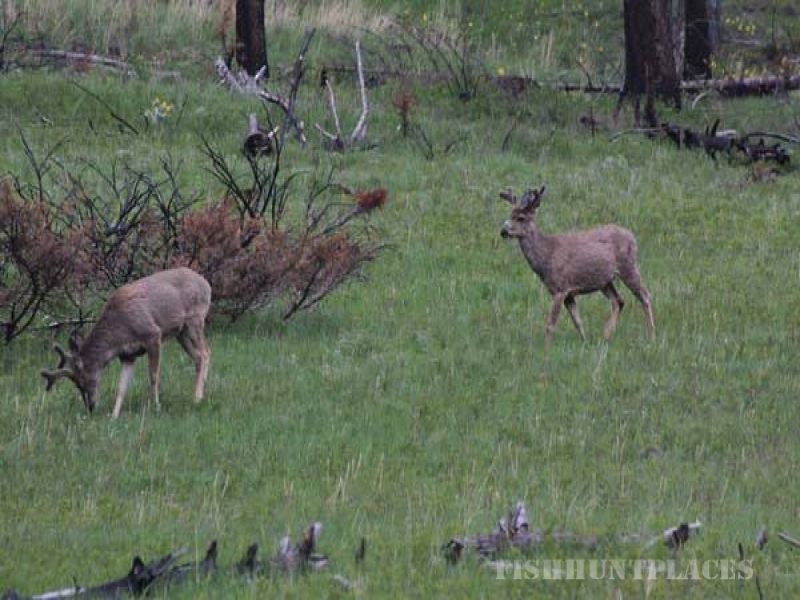 We had reduced the number of hunters we take to compensate for the low elk numbers, and now are recommending that you book rifle season hunts with us after May in order for us to see what the spring populations look like. We will take a couple of archery hunters during the normal booking time because the bulls are still reasonably easy to locate durning the rut, even with the reduced elk populations. We have still been successful with our latest moose hunts.